To apply for database administrator (DBA) position, your resume must demonstrate skills and experience with at least one of the topnotch RDBMS servers, -- Oracle 11g/12c, Microsoft SQL Server, IBM DB2, or SAP Sybase ASE. In current market, Oracle and SQL Server are the most wanted. In addition, Teradata for very large database (VLDB) and ADABAS for legacy (mainframe) systems make for high demand niche skills. Database administrator's main job functions include RDBMS software installation and configuration, database server administration, database performance tuning, backup and recovery, and database design and data modeling. Advanced database skills include data replication, data warehousing and data mart, cluster and grid configurations. Make sure you resume gets these areas covered. 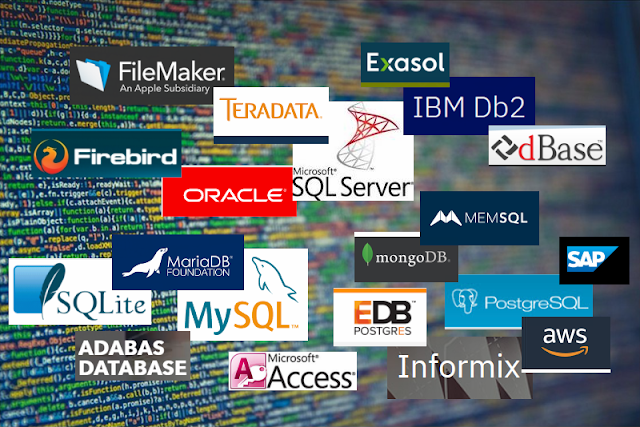 In current DBA job market, many employers expect database administrators to be involved in application design, sometimes even programming works are required, that's what so called application DBA. If the DBA position is for support of software development backend, application performance (SQL) tuning is the DBA's duty too. It is a big plus if you can show some application design and programming skills in resume. The following database administrator resume example presents strong database skills and experience with major RDBMS platforms such as Oracle. • In-depth knowledge and experience in full life-cycle database including data architecture, logical and physical database design, data modeling, implementation, and administration. • Extensive experience in planning, installing, configuring, and administering multiple Oracle databases in a WindowsNT/2000/XP and Sun Solaris UNIX environment. • Solid skills in database optimization and performance tuning for servers, applications, and SQL queries. • Experience in designing enterprise-wide database backup and recovery plans and implementing backup/recovery, failover, and replication procedures. • Designed and developed database applications and data warehousing for business intelligence. • Proven expertise in object-oriented design and client/server application systems development. • Experienced in designing and developing web applications for e-business solutions and supporting various J2EE based application server environments. • Self-motivated team player with excellent verbal and writing communication skills. • Experience in business analysis, project management, supervisory, and team leadership. • Database Administrator: Administer Oracle Server and Microsoft SQL Server databases. Manage database instances, monitor server performance, tune the database server and applications, and perform backup and recovery. Provide consulting solutions to various clients in database design, database server configuration, data warehouse implementation, server performance tuning, and application tuning. • Data Architect: Designed OLTP and OLAP database infrastructure for analyzing state government budgeting process. Defined database requirements and designed data model. Re-engineered business process and conducted data integration between BARS software and ERP systems. Implemented data mart and data warehouse. • Database Developer: Led project for the Statewide Budget Analysis and Reporting Systems development life-cycle. Planned project, analyzed client requirements, and documented technical specifications. Used case tools to build the data model. Developed Oracle database stored procedures, packages, and triggers to process business rules and data logic. • Managed 10+ Oracle database instances, conducted server performance tuning, backup and recovery, and troubleshooting in Windows NT and Sun Solaris UNIX platforms. Performed Oracle server software installation, database creation, system configuration and upgrades. Administered Oracle repository in Designer/2000 for data modeling and database design. • Participated in the company’s business process re-engineering planning and implementation to integrate desktop applications into enterprise-wide distributed client/server system. Developed client/server database applications that were used by over 100 municipal governments to analyze, audit, and recover tax revenues. Utilized Microsoft Visual Basic and Oracle Developer for application development. • Responsible for architecture, design, development, and testing of custom distributed client/server applications that were implemented in an enterprise-wide environment. Developed a management information system used by operators and supervisors to enter and manage operation data and generate technical reports in a hydro power plant. Developed a power distribution statistical analysis program used by engineers to collect, analyze, and report operation data. • B.S. in Engineering, India Institute of Technology, India. People applying for data base jobs should have a look on this article perfectly elaborated with a bunch f best examples. I hope to see more them coming keeping other fields a medium.